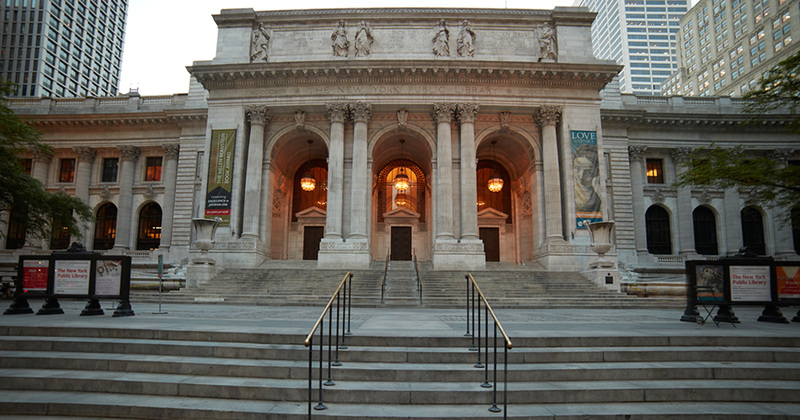 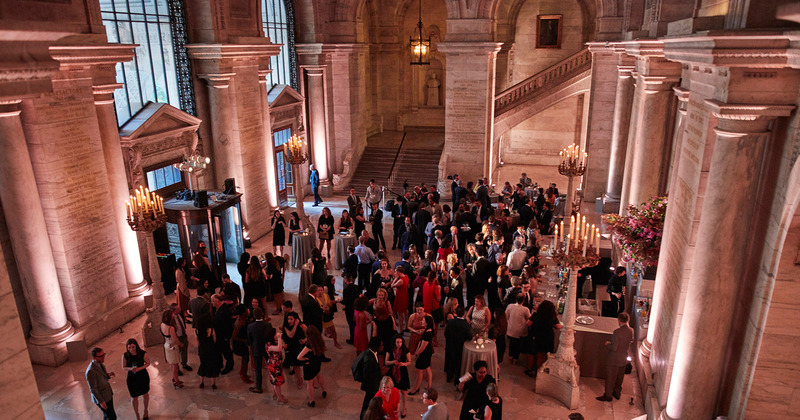 The New York Public Library’s Spring Dinner, an annual fundraiser in the Stephen A. Schwarzman Building, highlights the Library’s investment in lifelong learning. 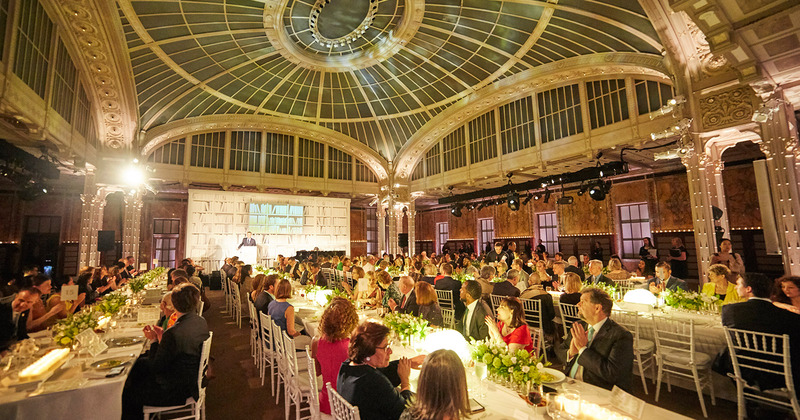 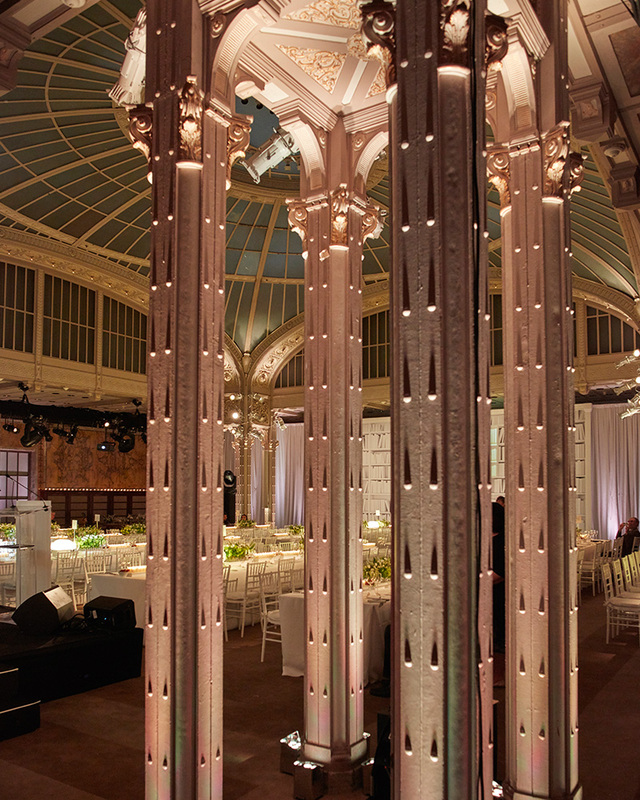 Frost Productions worked with event designer David Stark and caterer Sonnier & Castle by providing a curated lighting design to transform the iconic space from large public library to intimate fundraiser. 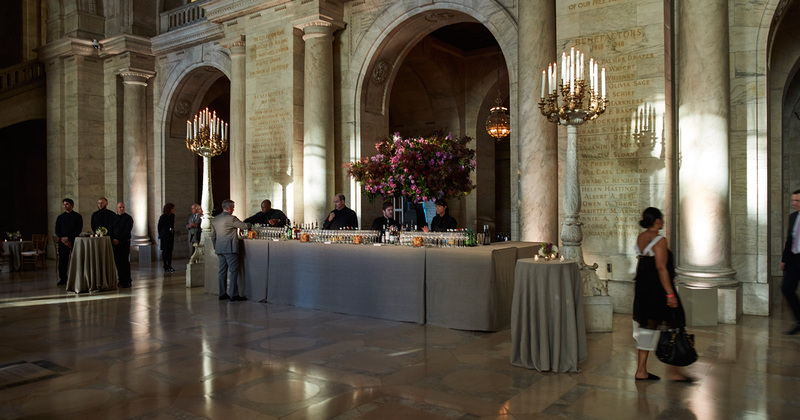 We used intelligent lighting throughout the space, bringing striking architectural features forward with strategically placed lighting in Astor Hall and the Celeste Bartos Forum. 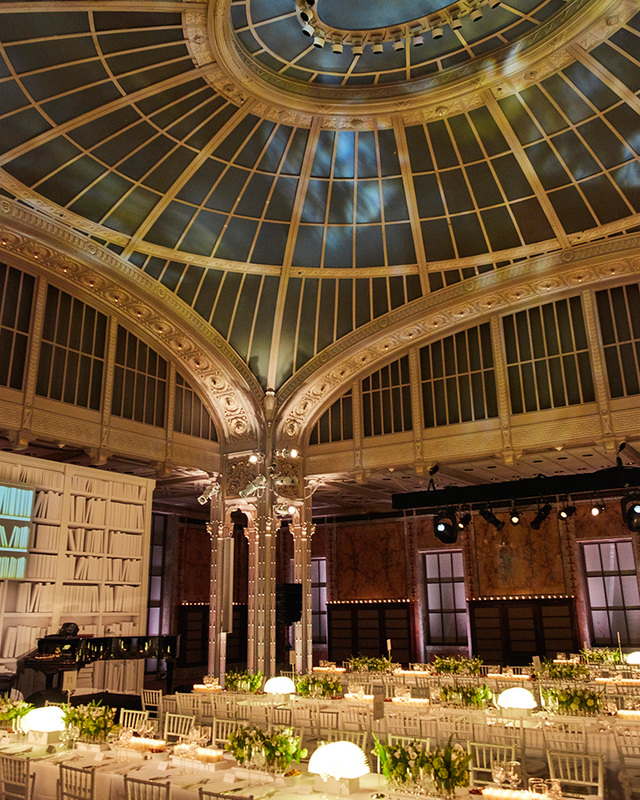 In the latter room, guests were greeted upon entry by a larger-than-life 12 foot x 10 foot book display and the 30-foot-high glass saucer dome ceiling beautifully illuminated in saturated hues. 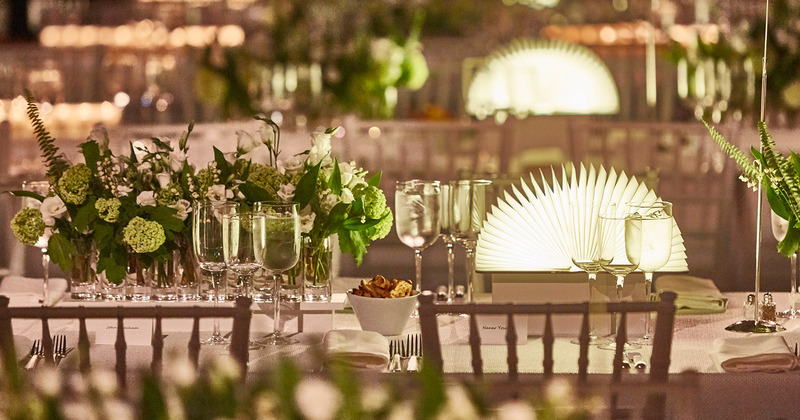 Stunning floral arrangements and light books served as dinner table centerpieces, and received their own cropped washes of light. 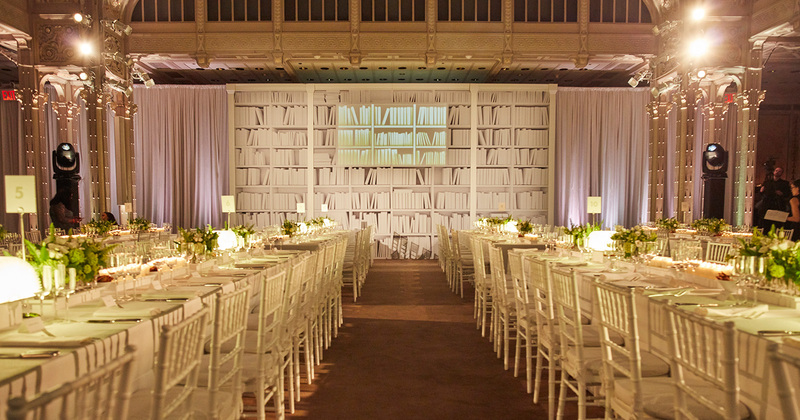 For the evening’s presentation, we installed draping to flank David Stark’s set wall, as well as the stage. 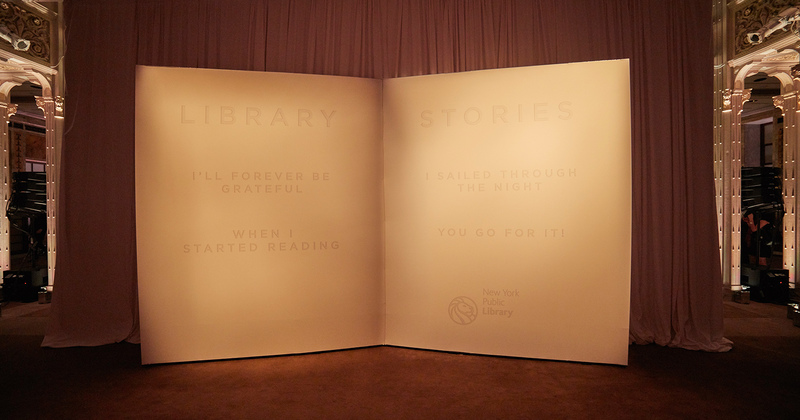 The program included a presentation and special performance, which we helped bring to life with projectors and a customized sound system.